A Most Defiant Routine. Alain Guiraudie’s Stranger By The Lake. What To Make Of Empire’s List Of The Top 301 Films Of All Time. Jean-Luc Godard’s Introduction To A True History Of Cinema And Television. This Year’s Prize Winners At The Cannes Film Festival. From A Bout de Souffle to Zabriskie Point, Hope Lies at 24 Frames Per Second attempts to cover every corner of the cinema spectrum. From reviews of the latest theatrical releases to in-depth analysis of both familiar classics and overlooked greats, we hope to cater for every taste, providing a tailored approach to online film criticism. 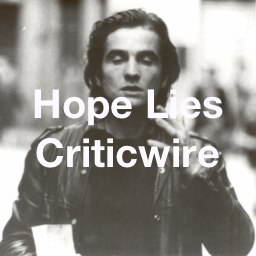 With an emphasis on (but not limited to) Silent Film and French Cinema, Hope Lies at 24 Frames Per Second fuses the mainstream with the ignored, drawing together reviews of modern theatrical releases and forgotten gems.